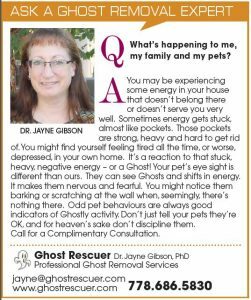 Ask the Expert column – What’s happening to me, my family and my pets? Don’t discipline your Pet for seeing a Ghost that you can’t see. 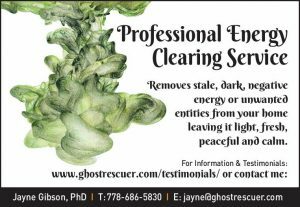 Ask the Expert Column – Is this My Dearly Departed Grandmother? The difference between a Ghost and a Spirit is in how you feel. 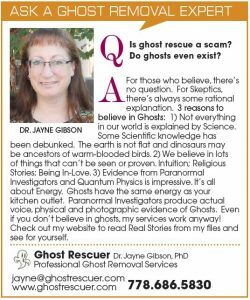 Ask the Expert Column – Is Ghost Rescue a Scam? We all believe in lots of things that can’t be seen or proven! 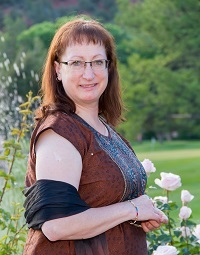 A look inside the work and life of Dr Jayne Gibson. 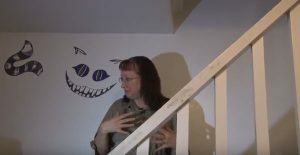 Documentary was created, shot and edited by 4 BCIT journalism students as part of a class assignment.